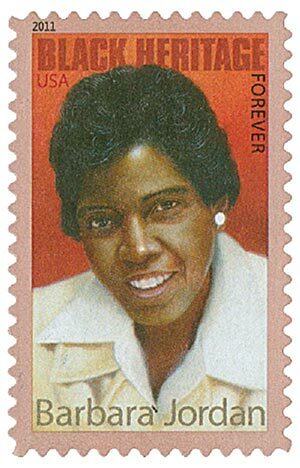 In 1966, Barbara Jordan (1936-1996) made history when she became the first black woman elected to the Texas State Senate. Jordan quickly gained acceptance from her 30 white male colleagues by sponsoring bills for Texas’ first minimum wage laws and antidiscrimination in business contracts. A rising figure in American politics, Jordan was chosen to be the keynote speaker at the 1976 Democratic National Convention. The speech, addressing unity and equality, ranked number five in a national survey listing the top 100 speeches of the 20th century.